This is not the promised new information about MJ-12, but it is something that I came across not all that long ago, which is not to say that it wasn’t published several years ago. 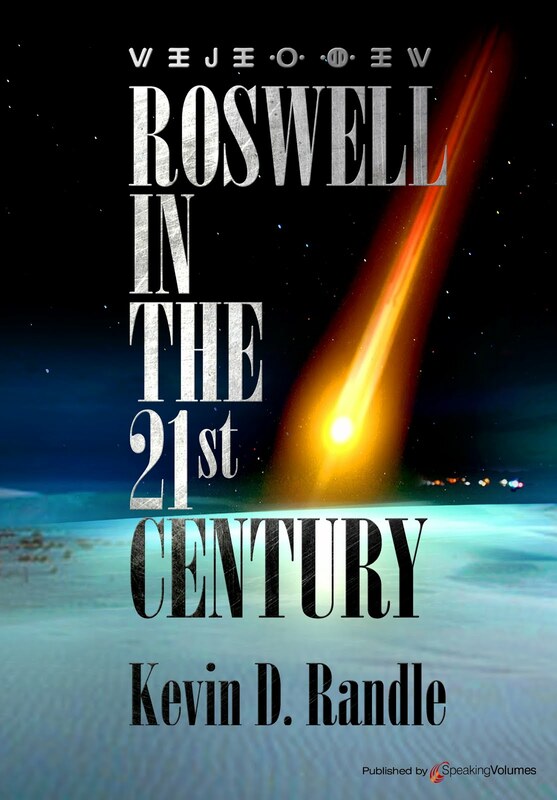 Nick Redfern, in his anti-alien Roswell book (he proposes a terrestrial explanation), noted that the FBI investigation hadn’t turned up any evidence for the authenticity of the MJ-12 documents. Redfern quoted an FBI headquarters message that apparently was sent to the Dallas field office. It said, "The Office of Special Investigations, U.S. Air Force advised on November 30, 1988, that the document was fabricated. Copies of that document have been distributed to various parts of the United States. The document is completely bogus." Apparently Redfern talked to a former OSI agent who told him there were no records found pertaining to MJ-12 or any investigation of the documents. Some seem to think that proves the documents were disinformation because there was no OSI investigation. The thinking goes if OSI had a hand in faking them, then, of course they wouldn’t have to investigate because they already knew the source. Here’s what’s important here. The FBI investigated the documents and found them to be bogus. If there had been a hint of a security breach, if there had been any evidence that authentic classified documents had been leaked into the public arena, then the FBI would have followed up. The FBI would have been interested in finding the guilty parties and having them prosecuted... and, since this would be a matter of national security, those arrested could be tried without revealing the nature of the information that had been leaked. Oh sure, we all would have been able to figure it out, but those responsible would have suffered consequences because if they didn’t, then others would feel safe leaking classified material... to the Russians (Soviets at the time), the Chinese, the Israelis, to our enemies and our friends. They might do it because of ideology or for money or just because their bosses had pissed them off. The point is, others would be encouraged to breach national security for whatever reason tripped their trigger. The significance here is that the FBI did investigate and they reported that the documents are bogus. No one has uncovered a document that mentions MJ-12 that is from an official government agency (yes, I know about the Cutler-Twining memo and will deal with that later) or from anywhere else that validates the authenticity of MJ-12. There has been absolutely no confirmation of the existence of MJ-12 in all the years that researchers have attempted to do that. All we have are a couple of documents without a provenance, that are riddled with the sorts of errors you wouldn’t expect in documents created at the highest level, and an official investigation that concluded they were bogus. Do we really need to go on? Once again I’ll start by pointing out that this is not a scientific survey. The participants were self-selected and although should have voted only once, the mechanism to stop multiple votes is relatively simple to defeat. The results were almost what I expected, except for the high number of votes to explain Roswell as an experimental aircraft and the two votes that suggested some kind of White Sands missile off course. Those reading this blog, for the most part, accept the idea that some UFOs represent alien visitation, so I expected the large number of votes for Roswell being extraterrestrial. I also know that many skeptics visit and I expected many votes for the Mogul explanation. What I don’t understand is why anyone would think that Roswell could be explained as an experimental aircraft. What could they possibly have been testing in 1947 that isn’t overwhelmed by our technology today? There is nothing that would have been classified and experimental in 1947 that isn’t superceded by the latest, 21st century, technologies. By 2010 standards, anything from 1947 would look primitive (unless, of course, it was extraterrestrial). If this had been some kind of experimental craft, don’t you think the Air Force would have trotted it out in 1995 when they pretended to investigate the Roswell case? If the attempts to build an atomic engine for aircraft is well known today... even the plans to dump the atomic engine, if it began to fail, have been documented, then what could they be hiding? We know where they would have dropped it according to the information easily available through multiple sources. In fact, some of the biggest mistakes made last century are now public record. For example, that the Air Force dropped an atomic bomb close to Albuquerque in the late 1950s is a matter was published in the newspapers. And no, the bomb didn’t detonate. So, I don’t know what logic would suggest some sort of failed experimental aircraft. The same is true of missile launches. All of them are accounted for in the records of the White Sands Missile Range. Nothing is missing, and there certainly isn’t anything in the 1947 technology that isn’t replaced by much better equipment of today. No, neither of those two answers make sense and I’m surprised at the numbers, though relatively small, who thought these would explain what had fallen at Roswell. To me there are but two answers currently on the table that make sense. One of them, Project Mogul simply does not cover all the facts and the documentation to prove there was even a Mogul flight in the right time frame is somewhat ambiguous. The other is, of course, the extraterrestrial, which does a better job of covering the facts... oh, I know, the skeptics will say that the government couldn’t keep a secret like this for more than 60 years, but really, they haven’t. I mean, we’re talking about it today and have been for the last forty or so years. And all I am saying here is that the extraterrestrial doesn’t require us to overlook testimony and other evidence. It’s by no means perfect and a bit of physical evidence would be nice, but it does cover the facts better than Mogul. So, the results here are not very surprising. They are in keeping with those who regularly visit this blog. In the long run, they provide us with little insight into the thinking around here and tell us nothing about the reasons for those thoughts. To understand that, we need to read the comments section. Maybe someone will tell us why he or she believed that experimental aircraft made sense. If not, then we’ll just have to keep guessing about that or move on to other issues. I was searching the web the other night and came across an interview with a man I had written about in the past. He was not pleased with my assessment of his tale and wondered why I had not contacted him before I posted it. I was a little disturbed by his comments and then realized that I was suggesting he had been less than candid about his UFO involvement and he certainly had the right to feel annoyed. Of course, I believed then what I written and I have seen nothing in the last several years to change that opinion. The point is that I find myself in a similar position today. I have been researching, for the last year, a story told by a man who claimed to be a retired Air Force colonel. Based on his supposed high rank, I accepted the story he told as authentic. I believed that a man who had obtained high military rank wouldn’t be lying about something like this... but that was before Philip Corso entered the picture and proved me wrong. In this case, however, the man had not been a high-ranking Air Force officer as claimed and the only record of military service I could find was a short period starting in December 1945 and ending in January 1947. This would technically make him a veteran of World War II, though he entered the service after the surrenders of Germany and Japan. The war wasn’t declared officially over until some time in 1946. He claimed that he had been an Air Force fighter pilot, but I could find no record to substantiate this, and if he wasn’t a fighter pilot, then his tale of a UFO crash was no longer credible. He had been, according to him, flying a chase plane during some kind of a bomber mission when he saw the UFO. But if he wasn’t a fighter pilot, then the reason for him being where he claimed to be was eliminated and his tale collapsed. I did learn that he had a long association with the Civil Air Patrol, the official auxiliary of the Air Force, but that is a civilian, volunteer organization. I don’t know if Air Force personnel, who can also serve in the CAP, receive retirement points for that service. If so, I suppose he could claim some kind of lengthy Air Force service, but the truth is, he wasn’t in the Air Force as claimed, nor in the Air Force Reserve, so the point is moot. 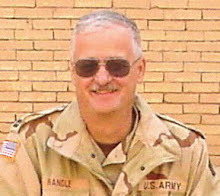 According to documentation, he rose to lieutenant colonel in the CAP, but again, that is not the same as being a lieutenant colonel in the Air Force. When questioned about his service, he provided several photographs and documents, but all of them related to the Civil Air Patrol. I have never seen a picture of him in an Air Force uniform, though it is clear from the photographs supplied that he was attempting to mask his CAP service by making alterations to the uniform. I have since been given some documents that suggest service in the Air Force, but these came from the man, and I have been unable to verify their authenticity. I believe one of them to be a forgery and not a very clever one at that. So, who is this guy you ask? This is where the trouble arises. In 2005 the US Congress passed the Stolen Valor Act which makes it a crime to wear ribbons or medals not earned. I have two pictures of him and in each he is wearing medals for which I can find no documentation. He is wearing an officer’s uniform and he is claiming to have served in the Air Force, either on active duty or the reserve long enough to have earned a pension. He claims it was denied because he talked to civilians about UFOs. On the other hand, I understand the anger of veterans toward those who didn’t serve, or served in a limited way but who claim great things. One estimate, published in Military History magazine this month suggests there are 26 million people claiming to be veterans who are not. Thousands have received veteran benefits to which they were not entitled, taking money from the veterans who had earned it. I have seen men, and a few women, interviewed about their service, making claims that then tarnish the reputations of all of us who did serve. But this guy is old, sick, and his family is not nearby. At the moment, nothing is gained by identifying him, at least in my mind. His story, however, does have a great impact on some avenues of UFO research, and that will be explored a little later. I have said for a long time that I believe MJ-12 to be a hoax based on the research I have conducted, the evidence as offered by others, and the admissions and statements attributed to various participants in the research of it. I have also said that I believe that if the Roswell crash was extraterrestrial, we would expect the creation of some sort of committee to exploit the find. That just seems to follow naturally. But, if not MJ-12, then what? 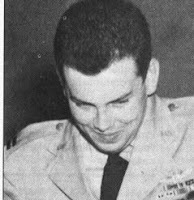 Brigadier General Arthur Exon, who was a lieutenant colonel at Wright Field in July 1947, and later, in the 1960s, was the base commander at Wright-Patterson Air Force Base, told me of a committee he labeled "The Unholy Thirteen." This was, of course, just the name he used to describe this group of military officers and civilians at the Pentagon who seemed to control the UFO data that was outside the scope of Project Blue Book, the Air Technical Int elligence Center and most other projects. I had assumed that Exon was talking about an oversight committee that had been created after the Roswell crash to deal with the debris. 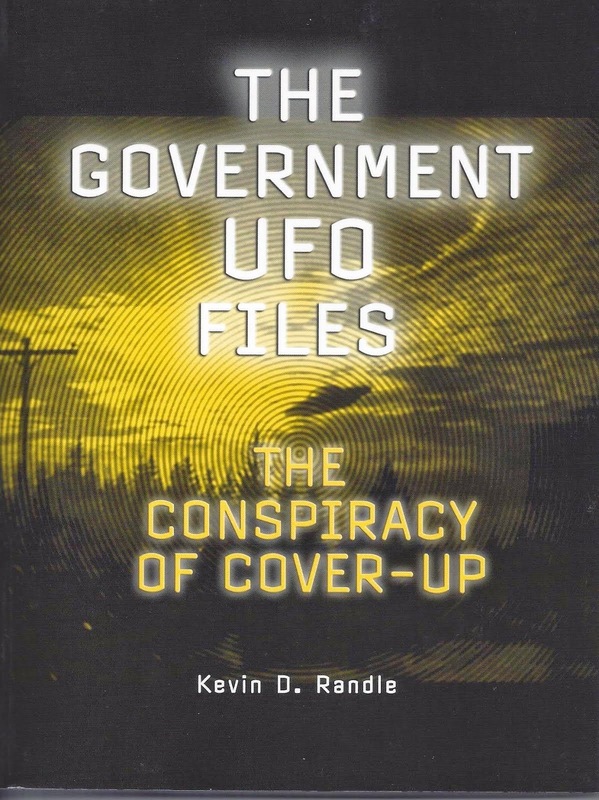 We know that some sort of committee was created at some time because, Ed Ruppelt (seen here), in his book, The Report on Unidentified Flying Objects, talked about it. He talked about the attitude of those in the Pentagon in July 1947, and suggested there was a great deal of concern about them at the top. He wrote that the security lid was down tight. "No one, outside a few high-ranking officers in the Pentagon knew what the people in the barbed-wire-enclosed Quonset huts that housed the Air Technical Intelligence Center were thinking or doing." Which is not to say that this committee grew out of the Roswell crash, only that such a committee did exist in July 1947. Exon told me that Truman knew something about UFOs and the implication was ab out Roswell as well, as did "General Spaatz (immediate right, the chief of the Army Air Forces), the Secretary of Defense (Forrestal, directly below) and other people who were close to them..." He suggested a few others, such as Stuart Symington (last on the right), at that time, the Undersecretary for War for Air, or the first civilian encountered in the military chain of command for the Army Air Forces was involved. He suggested that those at the highest levels in intelligence and the military were represented on this committee, whatever and wherever it might be. Taking this a step farther, there are the reports of a project known as Moon Dust that was so highly classified that an Air Force officer felt that he could lie about it to a United States Senator. When the lie was exposed, another Air Force officer said that there was a project known as Moon Dust but it had never deployed. This too was a lie. State Department documents releas ed under the Freedom of Information Act proved that Moon Dust had deployed on a number of occasions and that the project did involve UFO research, which again doesn’t take us to that committee created in 1947. With the name Moon Dust compromised, the name was changed and remains classified to this day, according to information supplied to the late UFO researcher Robert Todd. What this tells us is that while the Air Force might have ended Project Blue Book, there was another investigation classified at a higher level that survived the closing of the "official" UFO investigation. And if this is true then there is no reason that something else, even more highly classified existed then and exists now. Here’s what I know. There was a committee, as suggested by Ruppelt and Exon to control UFO information. It was housed in Washington, D.C. (okay, Arlington, VA, the location of the Pentagon) and it was made up of high-ranking officers and civilians. There was the public relations scam known as Blue Book but the true investigation was conducted at a higher level, survived the end of Blue Book, and continued on until the mid-1980s, when we lost track of it in the corridors of secrecy and the alleged national interest. Was all this a result of the Roswell crash or was it the result of both public opinion and Congressional interest in the subject of flying saucers? Did those high-ranking individuals, whether military or civilian believe that something of importance could be learned by studying UFOs? Were they, and are they, responsible for the continued investigation of UFOs and the continued suppression of UFO information? A committee existed and does exist and if Roswell was extraterrestrial, then such a committee would have been created if for no other reason than to exploit the find. Even ignoring the Roswell case, we know that such a committee existed in the late 1940s and into the 1950s because both Ruppelt and Exon told us it did. And, we know that one such committee existed beyond that when the information about Project Moon Dust was accidently revealed by the State Department. Did the committee have a name? Probably. It operated under a number of directives and organizations including Project Moon Dust and the 1127th Air Activities Group. Other than Moon Dust, who knows for certain? The Unholy Thirteen, as it was called by Exon will do as well as any for now... but that wasn’t an official designation. Until we learn the name, we might as well use that. Are they still in control of UFO information? Probably... which explains that idiotic Air Force investigation of Roswell that was designed to confuse the issue... which it did. But it provided no answers for anyone who didn’t already believe that there are no UFOs and therefore no alien crash at Roswell. They provided an answer that was full of holes, was inadequate, but did allow them to slap a label on the case. And MJ-12, which I don’t believe to have been an official disinformation project, has done much the same thing. We need to jettison MJ-12 and begin to search for answers in a different arena. Of course, in the UFO field, nothing is that simple and we’re stuck with MJ-12, just as we’re stuck with the contactees, crop circles, and cattle mutilations.